The presentation will include interactive demonstrations using VarSeq to analyze variants found by exome sequencing of an extended family with a complex disease. 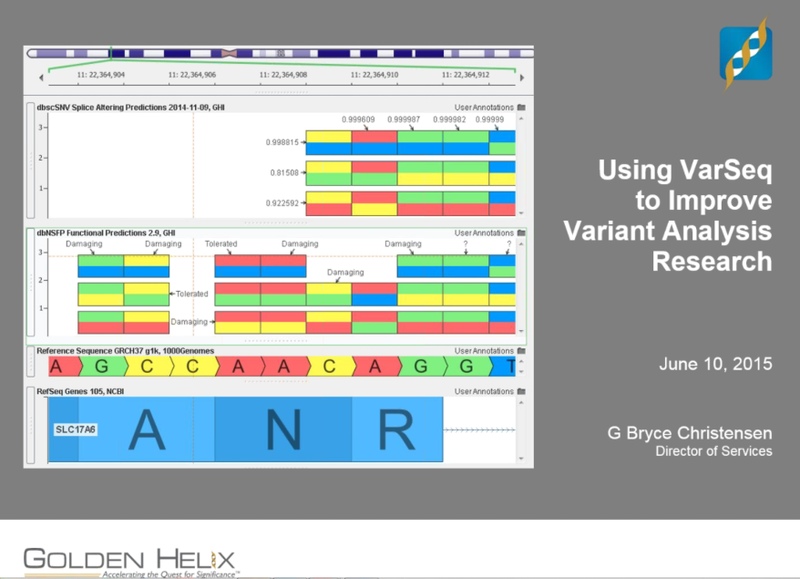 We will review strategies for assessing variant quality, applying genomic annotations, incorporating custom annotation sources, and creating variant filters in VarSeq. We will also demonstrate the PhoRank gene ranking algorithm and its application for prioritizing variants.